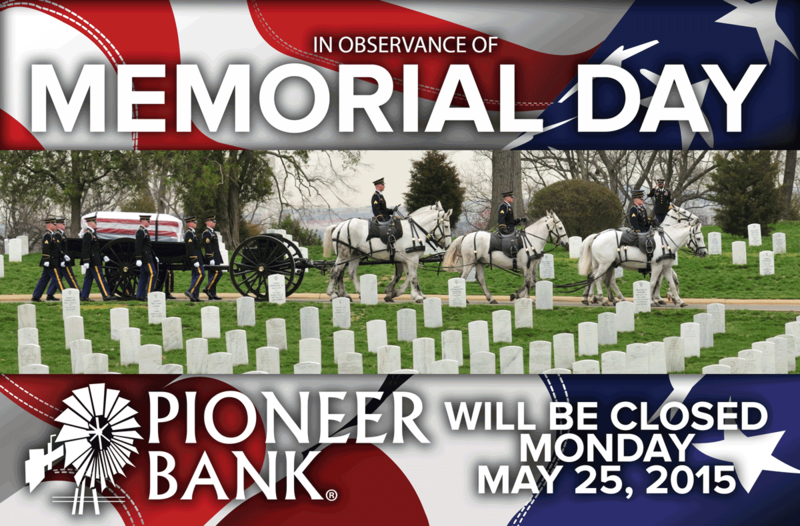 Pioneer Bank will be closed on Monday, May 25, 2015 in observance of Memorial Day. Please remember the reason we observe this day. We must remember and respect the men and women who gave their lives for what they believe and our freedom. Tags: memorial day, military, remember, veterans. Bookmark the permalink.